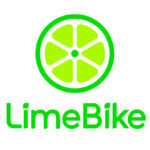 I’m Janel Sterbentz and I decided to start this new bike advocacy group because I saw a dire need for it. Although I’m not from here, the longer I’m here the more I love it and want to improve the city while preserving it. I have a Master’s in Urban Studies and have worked for transportation departments, bike advocacy groups, grassroots organizations and for-profit businesses. Many have been telling me that there are lots of different bike groups here, but they’re not connected. Cyclists tell me how unsafe they feel on the streets, and how often they’re harassed and yelled at by people in cars. I hear from friends that another cyclist was killed or severely injured, but I don’t see it in the news, and I can’t find any details about just how many have been killed and why. 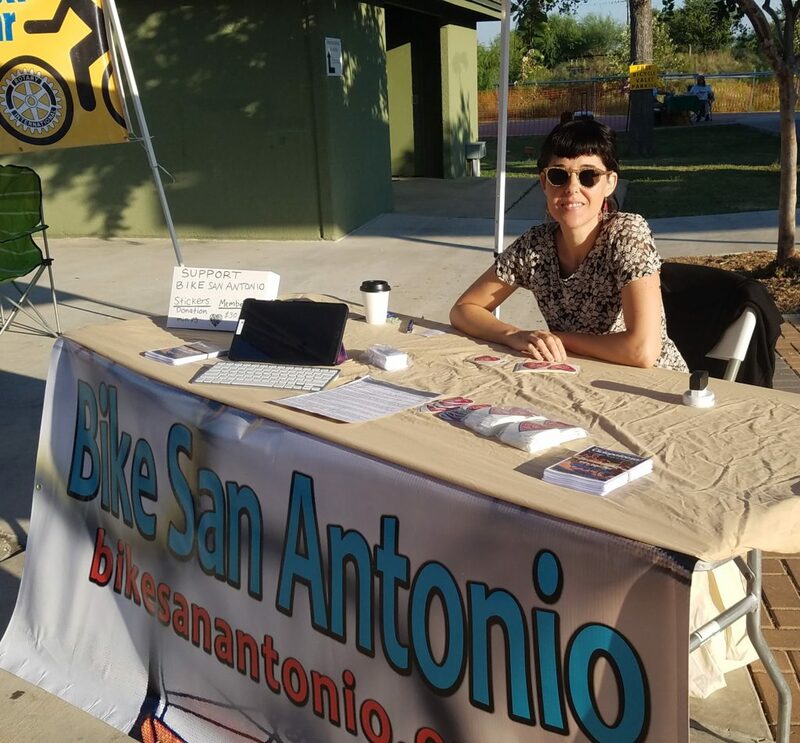 This is why Bike San Antonio is needed, to organize cyclists and demand safer streets! We’re dealing with a mental health crisis in the US, with more people depending on costly pharmaceutical drugs or turning to illicit drugs, both of which can lead to health problems or death. 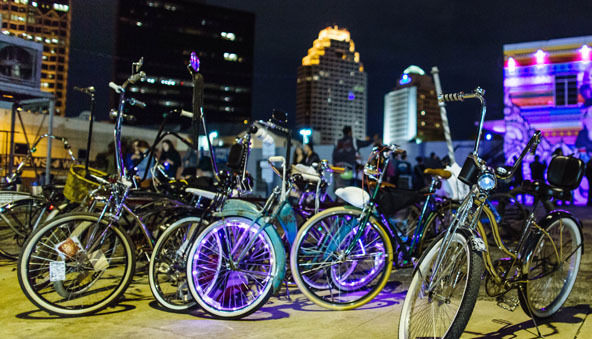 There’s an obesity epidemic here in San Antonio, and whether or not you believe in climate change, the fact is that pollution from cars leads to many health problems. If you do believe in climate change, you know we need to reduce our dependence on fossil fuels now to prevent more catastrophic and costly disasters. The US transportation sector produces about 30% of all US global warming emissions, more than almost any other sector. Bicycling is such an amazing activity because it can easily and simply solve all of these issues. Cycling has been proven to reduce cardiovascular diseases, cancer, premature death, isolation and depression. We can all easily contribute to cleaner air and water, reduce climate change disasters, and reduce healthcare costs — all the while increasing our mental and physical well being! Often people rally against bike improvements because they think it will take away their parking or increase traffic, but from my experience this doesn’t have to be the case. I worked with a group in San Francisco where we were able to get protected bikeways installed on streets in the middle of the city. It required the removal of about 60 parking spaces. This is in a neighborhood where you can circle around for half an hour looking for an open space. The city was able to re-stripe parking spaces and find underutilized areas to make up all the spaces. Yes, sometimes installing a protected bike lane requires removal of a travel lane, but often the capacity of the roadway is great enough and traffic light enough that it doesn’t affect traffic. 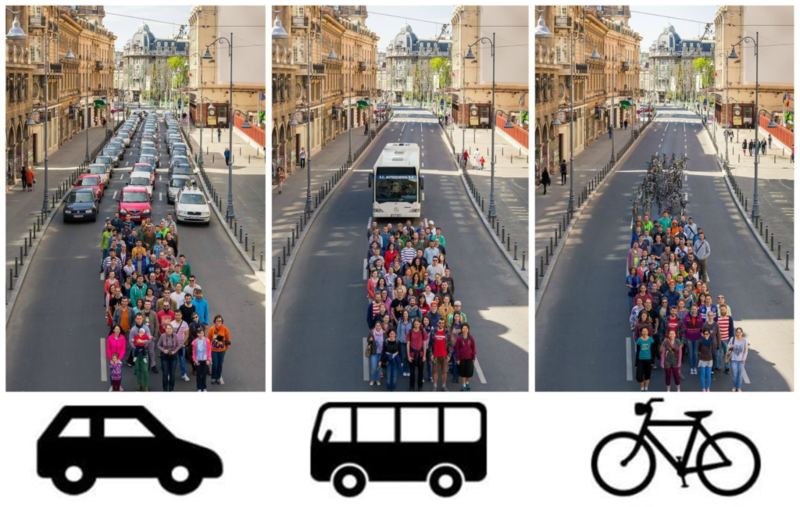 Also, the more bike infrastructure there is, the more people travel by bike which decreases overall car traffic. I’ve already put in a lot of unpaid time, and spent my own money on flyers, a banner and stickers. 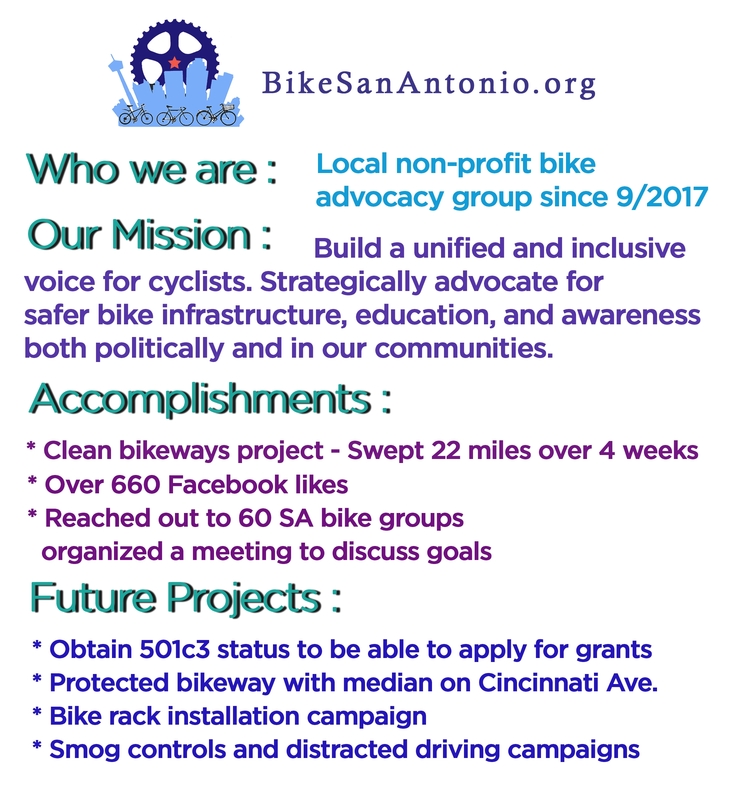 Please support Bike San Antonio by getting a membership. 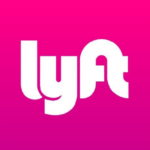 Once this organization gets stable funding we will hire an Executive Director and as much staff as we can to make the streets safer, more efficient, and more enjoyable for everyone. With a membership you get a membership card and sticker. Eventually members will get discounts from participating businesses. Also, join us for our third meeting! 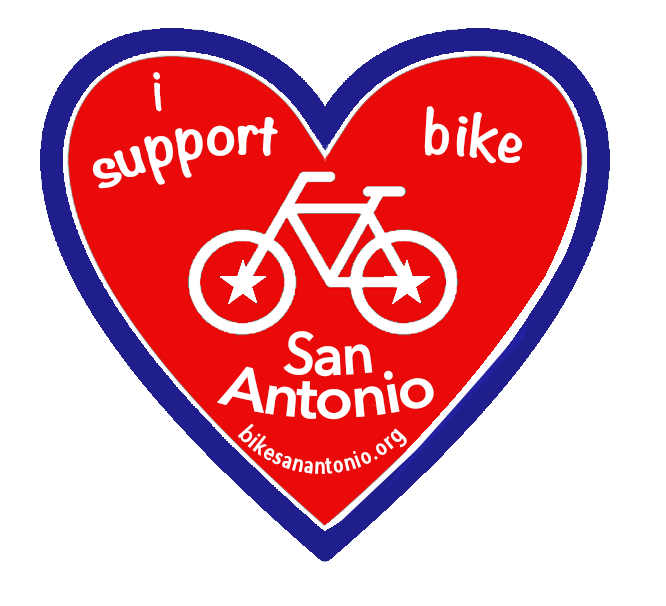 We are a collective of cyclists passionate about San Antonio. We are advocates for safety, infrastructure, access, education and collaborative approaches to sharing the road.